Long trusses of sweet commercial quality fruits! 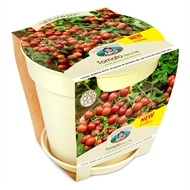 Determinate, bushy with cascading habit, perfect for containers and hanging baskets. Masses of sweet yet tangy cherry tomatoes Up to 80 fruits per plant! 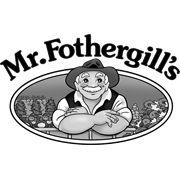 Mr Fothergill’s Grow Pots are complete growing kits that include a Jiffy soil pellet and a sachet of seed, packaged in a stylish, colour coordinated pot. They are ideal for gardens with limited space, or a sunny spot on a patio, balcony or windowsill. They also make a great gift!